This is my new sloth. It doesn’t have a name yet, I only made it last night. 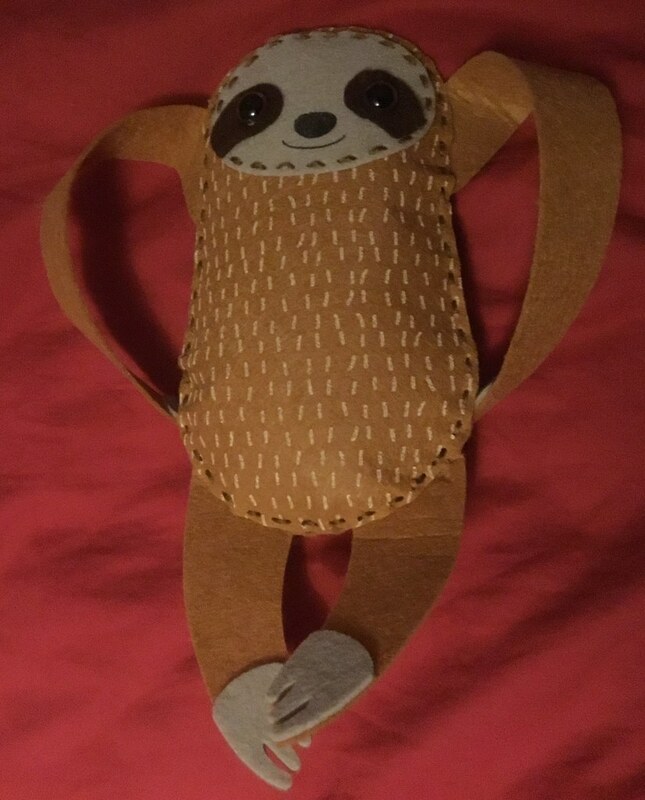 About this time last year, I bought a sew your own hanging sloth kit from the Natural History Museum, as a Christmas present for one of my nieces. She loves animals, and currently wants to be a vet, even though (like me) she can’t bear to see an animal in pain. Maybe her solution to that will be to do something about it. Anyway, I bought myself one at the same time, because who doesn’t love sloths? True to its nature, though, it has been sitting in a cupboard for a year not doing much. Until last night. It’s not the most challenging sewing project in the world – it comes with a giant plastic needle – but at least I now have a sloth. Sloths are fascinating creatures. They have evolved a fairly unique survival strategy, which involves doing as little as possible. They have a low body temperature, which they maintain by moving in or out of the shade. They eat leaves, twigs and buds, which can take 50 days to pass through their digestive system. Moving very little, and slowly, is both their way of conserving energy and hiding from predators. They spend most of their time hanging about in the tree canopy, descending to the ground once a week or so. To poop. Sloths seem to have a symbiotic relationship with algae that live in their fur. One theory was that they’re essentially cultivating it, for extra food. It seems more likely that it’s extra camouflage. Sloth fur is also home to various species of fungi that are active against diseases. Oh, and they’re really good swimmers (the sloths, not the fungi). There are six species of sloth, in two different families. 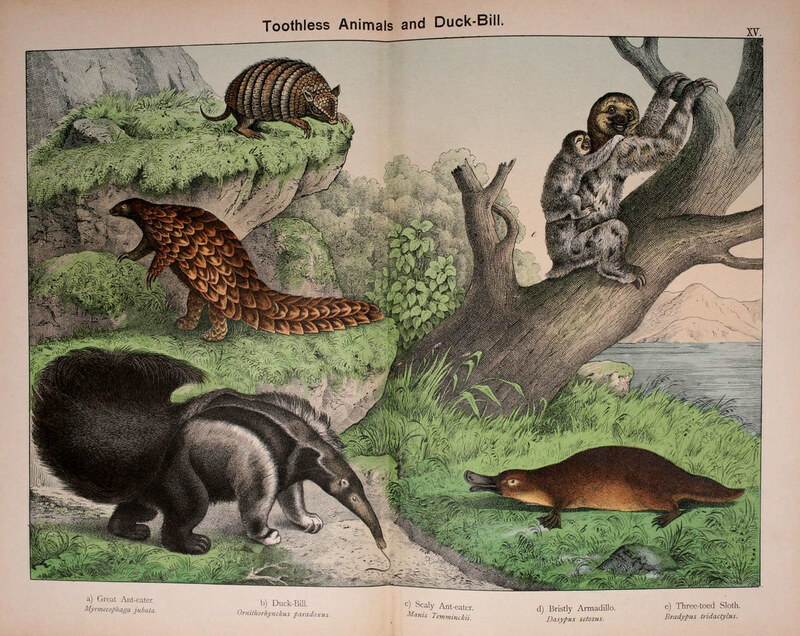 The families are two-toed sloths and three-toed sloths, even though all sloths have three toes. 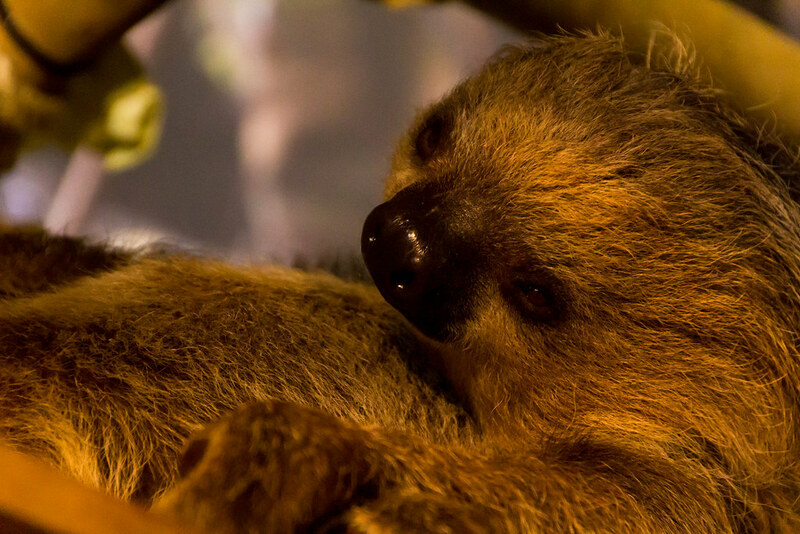 Some sloth species are threatened by deforestation in the tropical forests of South and Central America. WWF – why are sloths slow?